Every new, as well as experienced business owner, will tell you that it is an uphill task to have steady cash flow in any business. Cash fluctuations is a common thing in any given business. This is because a business is influenced by both internal and external factors. An entrepreneur’s ability to control what happens to the business is limited to internal factors only. Thus, at times a business owner may undergo a cash crisis caused by external factors. Whenever a business is in need of funding, you can look for lenders who can inject cash into your business. This mostly comes in the form of loans that are payable in the future depending on the business agreement. For a business loan, they have to scrutinize your business data and gauge whether your company is worth their business funding. Many lenders have a formula of gauging whether your business qualifies for funding or not. This formula is comprised of different data points regarding your business. If your business data is convincing enough, funding will be available but if the data is below their expectations, it could prove difficult to receive funding. Here is an eye-opening insight on different business data used by lenders to look at your business funding ability. Your personal credit score from the credit reporting agencies is used by lenders in determining whether to fund your business or not. The score is divided into three categories; good, average/fair and bad. If your score is in the good category, you have a higher chance to be funded by a lender. Remember that a good credit rating means that you have been paying all your bills on time and the possibility to forfeit paying back the loan to the lender is therefore very low. On the other hand, if you have a bad/ poor credit score, there are high chances that very few lenders will be willing to extend any form of credit to your business. A bad credit history is a reflection of how bad you are at paying your debts or bills. Many lenders view you as a great danger to their finances since you are likely to forfeit in payments. This is a situation every entrepreneur would not want to be in. However, if you are in it now, you can still turn around the rating by making your payments on time so as to improve your chances for funding. Revenues are very critical and make things move faster and more efficiently. It makes the business operate, grow and pay bills on time. Generally, revenues are what make businesses run smoothly. When it comes to lending, lenders shall use your revenue data in determining if you have the ability to repay the amount of loan you are applying for. The higher the revenues that your business collects within a specified period of time, the more likely you will be able to qualify for larger loans. The assumption here by the lender is that your revenues will make it easy for you to repay the loans granted. On the other hand, if your business revenues are very low, many lenders will only lend you a small loan. This is due to the fact that the low revenue won’t be able to repay back a larger loan or the business may struggle in repayment. This is why most lenders can only afford to give you a small loan or even deny you any form of loan. Most new businesses are in this phase and in most cases lack funding. The best thing one can do while in this phase is putting back the profits gotten from the business rather than depending on lenders. Your market size is used to determine the amount of loan you qualify for from the lender. The bigger the market size, the higher the chances of making more sales which definitely will be reflected in the revenues collected. The lenders work on the assumption that the data pertaining to the size of the market that the business has will or is reflected in the sales and revenues. The amount of sales you make in a day or a month or even weekly basis is used to measure the size of market that you serve. The higher the sales, the bigger the market size and thus the bigger the loan or line of credit you qualify for since the sales volume that the business transacts has the ability to repay the larger loan. On the other hand, if you have been registering low sales, it is assumed that your business has a small market and your ability to repay a high amount of loans is questionable. You will only qualify for small loans which may not do much in terms of fulfilling your needs. Currently, the idea of making sales via traditional means has shifted to online. Most of the people prefer shopping online. The best examples include Amazon and Alibaba whose owners are among the richest people in the world. This means that most of the market is available online and thus every business owner should do more and offer e-commerce services. Social media platforms which have a lot of prospective buyers include Facebook, Twitter, Instagram, and YouTube. You should use social media to drive your sales, respond to your customers and read the reviews about your products. This kind of interaction helps in improving productivity and services. Lenders nowadays use business’ social media presence as a factor to determine how much money can be given to your business as a loan. The presence is measured by how much followers (perceived as potential clients) you have for your business and the number of sales you make online. The higher the sales you make, the more revenues you make and hence the more likely you will get a loan. It is time for every business owner to increase their social media presence which automatically will boost sales and make you qualify for any amount of loan that you may be in need of. The frequency at which you borrow forms part of the business data that potential lenders look at whenever you apply for a loan. The rate of borrowing is key to determining how stable your business is. Frequent borrowing shows that your business is not stable most of the times while not borrowing so often is a sign that the business can sustain itself. This is what lenders use to evaluate your loan proposals. Many lenders will also go for your history of payment to see if the amounts of borrowing you have been taking are paid. If fully paid, despite how frequent you borrow, getting a loan is guaranteed. However, if the former borrowings have not been paid, no lenders will even want to associate with you. On the other hand, if you are not a frequent borrower, lenders will view your business as stable with the ability to pay back the borrowed amount. Therefore, to be on the safe side, you need to reduce your level of borrowing for people to see your business as stable and not a borrowing company.’ This is the only way you can convince many lenders to lend you money without much hesitation. If you are a startup entrepreneur, you need to establish a credit rating for your business. If you are working with vendors, it is advisable to pay your bills or debts using the business name as opposed to your personal name. This will make it easy for you to raise the business credit rating for your business. A business which has a good credit rating is attractive to lenders. The score shows how good you are at paying business bills, your vendors and any other form of payment owed by your business. Any business which has a good credit rating means that the company makes payments on time. No lender would turn down a loan applied by a business with a strong credit history. This is because they. are sure that the business will honor the loan repayment terms and keeping all other factors constant. On the other hand, if your business has a bad credit rating, many lenders will avoid lending any form of credit. You are a danger to work with and you are likely not to repay them back. Thus, your business credit rating can either be a blessing as well as a curse. Work on raising your business credit score to increase the chances of being funded whenever need be. Any form of business incurs expenses, bills, and borrowings at one time or the other. The difference between a good business and poor business management relies on how the business owner pays for the borrowings and any other form of money owed by the business to lenders. A business which pays and honors its financial contracts builds a good reputation for itself and is considered very honest in making deals with. That’s how debt repayment history impacts your business and thus it is upon you to make sure that your business pays all its debts on time now to save your future. A financially stable business can be gauged by the amount of cash flow it collects on a day to day basis, weekly basis or even monthly basis. 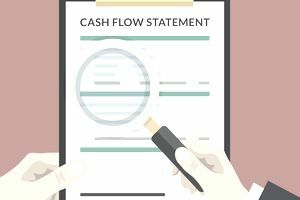 If the cash inflow is far much higher than the cash outflow, then the business is perceived to be very stable financially. However, if the reverse is true, then the business could be struggling to make ends meet. The higher the cash inflow that the business makes, the higher the deposits reflected in the bank accounts. Lenders use this information to determine whether you qualify for the amount of loan you applied for or not. If you have been depositing cash into your bank account every now and then, it shows that your revenues are high and no lender will turn down your loan application. This is because most lenders love working with financially stable businesses for their own gains. Your business will be so attractive to them and anytime your business runs out of cash, all of them will be willing to give you a helping hand. On the other hand, if the amounts of withdrawals exceed the amount of deposits, lenders will have the perception that the business is unstable and could land in a cash crisis sooner than later. Another thing that might seem strange but at times is looked at by lenders is whether the business is a legal entity. Is the business registered with the state or is operating illegally? This is because in case of forfeiting in the loan repayments, the lender could take legal action against your business. This means that most lenders would want to work with businesses which are fully registered as opposed to those operating illegally. Therefore, to increase the chances to work with the best lenders in the market, you need to make sure that your business is registered and in compliance with all state and federal laws. A balance sheet is one of the key documents that are used to show at what point does your business stand financially. For a business which is stable, the assets at the end of the balance sheet should be higher compared to the total liabilities that the business has currently. Not only do lenders want to see the balance sheet but also other financial statements such as bank statements. These documents are very essential in determining how much of a loan your company qualifies for. If the figures are not convincing, there is a possibility that most of the loan applications or credit lines could be declined. Moreover, if the business has fixed assets, the better the chances to qualify for a huge amount of loans since one of the assets can be used as collateral. All the above factors are examined by lenders to determine the business funding ability. it is therefore very critical to ensure that your business lies on the brighter side of attracting lenders rather than scaring them away.